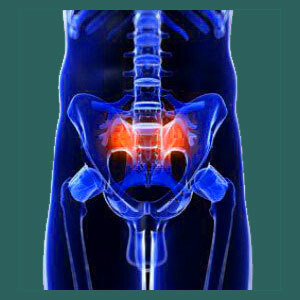 Knowledge therapy for sacroiliac pain is an alternative medical treatment that acts on resolving mindbody causation of SI joint symptoms. Knowledge therapy is a layman’s term for techniques that have been successfully and formally applied for a wide range of chronic pain problems for decades, most commonly resulting in true and permanent cures for symptomology. Although the treatment is certainly not specific to SI joint conditions, it is certainly applicable and highly effectual for addressing the underlying sources of many chronic sacroiliac joint pain syndromes. We first heard the term knowledge therapy used in reference to Dr. Sarno’s therapy program, in his own books on curing back pain. He described the technique as teaching the patient literally all he knew about why they actually had pain and why the structural issues often blamed for their pain were typically misguided. Based on his extremely high success rate, it seems that Dr. John Sarno was certainly on the right path when it came to treating chronic pain. We at The Cure Back Pain Network are thrilled to further his work on the subject of mindbody medicine as the leading supplier of online information concerning tension myositis syndrome, psychosomatic pain, psychogenic pain and the best treatments for these various manifestations of mindbody disorders. This dialog explores the use of alternative mindbody medical practices for treating a diversity of sacroiliac joint pain syndromes. We will define what knowledge therapy is, explain what it isn’t and assist patients in finding quality sources of the treatment to further their relief efforts. Knowledge therapy has also been called the “nontreatment treatment”. This is because it skips the usual (often ineffective) interventions, such as exercise, drugs, manipulations, injections or surgery in favor of mindbody techniques that route out and resolve the true underlying origins of many chronic pain syndromes. Knowledge therapy relies on a completely different interpretation of why pain becomes chronic and why it does not respond to traditional medical care. However, it must be made clear that the therapy is indeed medical and science-based, having been mostly developed and propagated by physicians, such as the aforementioned John E. Sarno, M.D. in his clinical practice in New York. Knowledge therapy can be used in many forms, ranging from such simple interventions as reading a book to such grossly involving practices as analytical psychotherapy with a specially-trained therapist. Most patients use self-managed methods and these seem to function just as well as the more expensive professional modalities. In our experience, all a patient needs to succeed with the treatment is exposure to it, understanding of it and some support base for them to refer to for questions and clarifications. The Cure Back Pain Network has happily provided all of these services, for free, for over 15 years now. Knowledge therapy will never change the structural implications of SI joint pain. If the patient has received a structural diagnosis, it is likely to remain in place even after the pain has long dissipated. The idea here is that many structural diagnoses are incidental to pain, which is a truth long supported by both research and clinical medicine. In fact, doctors are taught an important lesson early on in their educational process which states “Atypical structure does not accurately predict pain”. No more factual statement has ever been uttered in medical text. Using knowledge therapy does undermine the validity of any chronic pain syndrome. In fact, it is actually quite the opposite. By understanding the actual nature of the pain, the patient is finally on the right path towards curing it by finding its origin within the substance of the mind, rather than incorrectly blaming the symptoms on coincidental abnormality of the body. Additionally, one must objectively remember that age and activity-related structural changes to the joints are actually completely universal. Therefore, they should be considered normal, rather than atypical, especially when no mechanism of pathology can be proven. As far as quality sources of knowledge therapy, you still can not go wrong with the original print editions of any Dr. John Sarno’s books. World-famous author and physician Dr. Andrew Weil has also written much on the topic of mindbody health and his writings make great supplementary research material. We do offer our own contribution to the literary universe of knowledge therapy in the form of our peer-acclaimed, best selling pain relief program Cure Back Pain Forever. Our program is truy unique in that it uses a multi-disciplinary, 3 tier approach to preventing, managing and curing pain. All sales of this book go 100% to support our advocacy and education efforts on his website. If you enjoy this free online resource, you will love our program! We support the idea and practical application of knowledge therapy because it works. 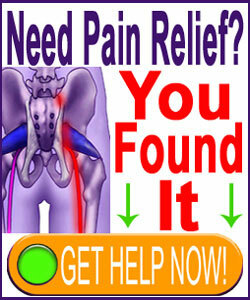 We have used it ourselves and have recommended it to millions of people who have benefited from it. Of all the countless letters of thanks we receive each month, a majority of writers are grateful to opening their eyes to something completely different, safe and effective in the medical sector… a treatment that enjoys the benefit of over 4 decades of clinical application at some of the most prestigious medical institutions in the world, such as The NYU Medical Center in New York. We propagate knowledge therapy because it helps people and allows everyone access to a potential cure that can be completely free of financial burden and all possible risks. Will it work for you? Only one way to find out… Give knowledge therapy a try and tell us what changes it made in your life.